While Kevin Durant is the hot topic of discussion, Under Armour has added another star to its roster of athletes. 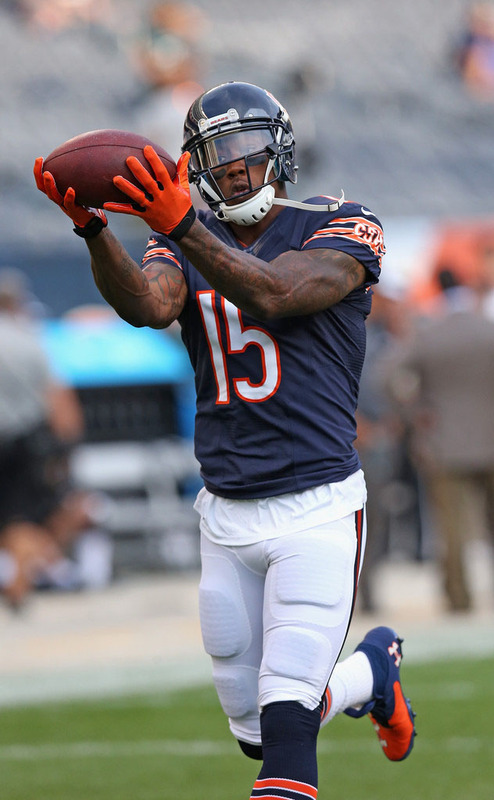 In Friday night's preseason game against the Philadelphia Eagles, Chicago Bears wide receiver took the field in a Bears-themed colorway of the Under Armour Nitro Icon Mid. Marshall spent his first 7 seasons wearing Nike and Reebok. 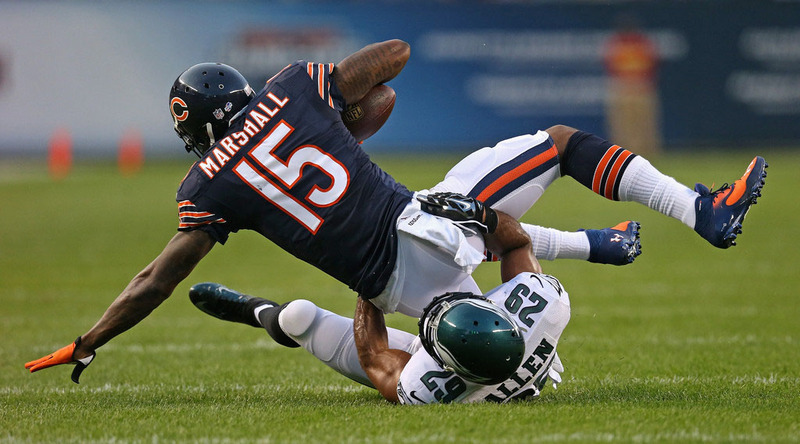 Last season, Marshall was fined $10,500 for wearing green cleats in support of Mental Illness Awareness Week, as opposed to the league approved pink-accented cleats for Breast Cancer Awareness. He matched the fine and auctioned off the cleats for charity. 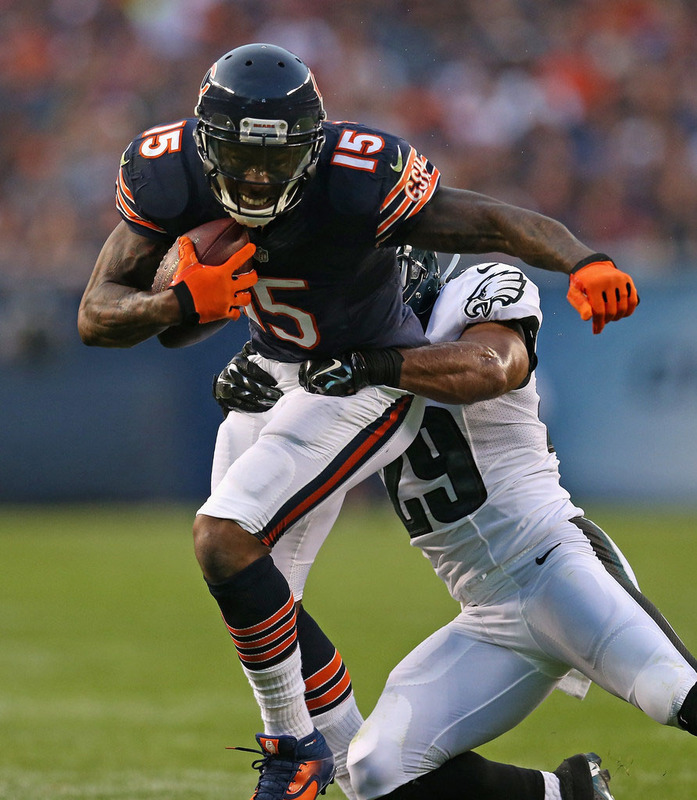 This season, the Bears are expected to have one of the NFL's top passing attacks. Marshall played in his 5th Pro Bowl earlier this year. Under Armour also added Patrick Peterson and Geno Smith during the offseason.